track participation and measure learning through online assessments. Online courses are a highly effective learning method and a valuable component of most corporate training programs. 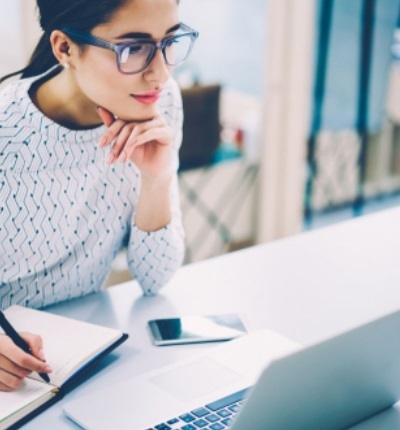 Our e-learning platform helps organizations take advantage of this cost-effective training method for staff in various locations, while increasing learner autonomy and appealing to millennial employees through animation and video learning. It integrates easily with our other talent development solutions, as well as industry standard HR management systems. We also offer the option of e-learning content development and design, where needed. Train staff in different locations efficiently with minimal work downtime, while giving them more control. Use e-learning for mass training topics or those requiring visual formats and interactive exercises. Engage learners and encourage healthy competition through gamification features like points, badges, leaderboards and rewards. Use built-in assessments to evaluate learning. 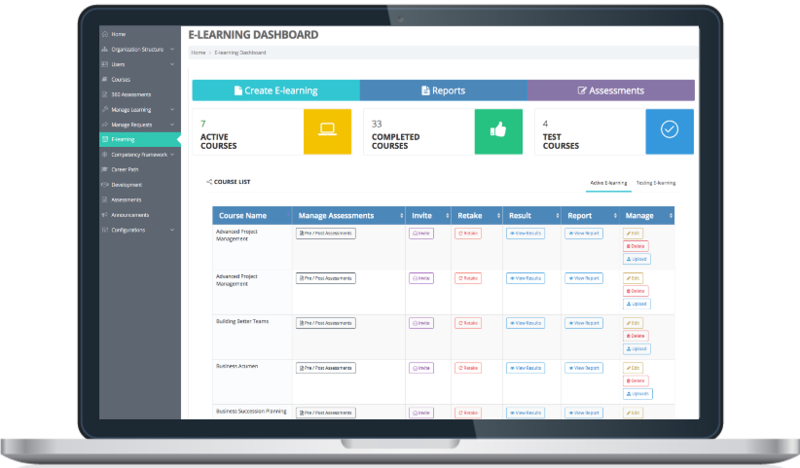 Track learning activities of every employee and department for every course, and view their training history. Looking into adopting e-learning at your workplace? Talk to a digital solutions consultant and request a demo.